The English Proposal (Book 1). Sheltered on her family’s country estate, Lady Margaret, the daughter of an English Earl, is betrothed due to a family promise. Although Henry, the Viscount Rolantry, has been her best friend since childhood and she is expected to marry him, she never felt butterflies until she meets the Duke of Witherton. Against her father’s wishes, Margaret finds herself captivated by the forbidden duke. Caught between family loyalty and her own wishes, Margaret searches for a way to satisfy both her responsibilities and her longings. When tragedy strikes, Margaret finds herself seeking answers at church. But when she finally makes her choice, through her newfound faith, will she be able to live with the repercussions of her decision? 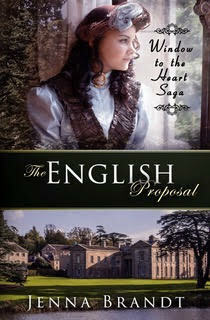 To follow the heart or the head—torn between two men—which future will Lady Margaret choose? Profoundly romantic and superbly riveting, The English Proposal explores the conflict between fulfilling duties and satiating desires. 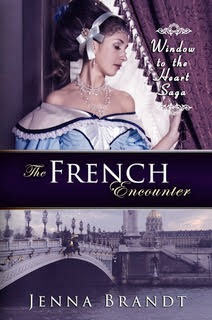 The French Encounter (Book 2). Ruined by a night she will never forget, Lady Margaret, Countess of Renwick, must flee from England with her infant son to hide from the man who destroyed her life and from the sister-in-law who hates her. Relentlessly, the duke and viscountess hunt for them, planning to take the child to whom they both feel entitled. Margaret turns to God, believing he will protect her family and help her find her long-lost twin brother, Randall. While searching for Randall in France, Margaret is pursued by two enticing men: Pierre, the alluring Vidame of Demoulin, and Michel, the powerful Marquis de Badour. One man promises passion while the other offers security. Will Margaret surrender the chance for love to secure her safety? While fleeing from danger and searching for her long-lost brother, Lady Margaret encounters new love. Despite her past, can Lady Margaret discover hope for the future? Deeply passionate and intensely gripping, The French Encounter weighs the struggle between giving in to temptation and sacrificing for refuge. The American Conquest(Book 3) Running from a past scandal, Lady Margaret must leave Europe forever and escape across the ocean to America. 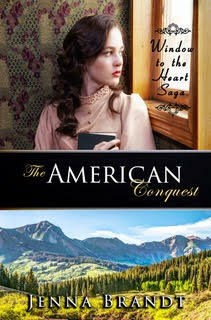 The plan: to brave the Oregon Trail to reach the Colorado territory where her family’s future awaits. While facing adversities in the new frontier, Margaret must trust God to keep their family safe. Attacked by Indians, the group is saved by Cortland Westcott, a rancher and devoted Christian. Margaret and Cort have an instant connection through their faith, but devastating secrets threaten to cripple the budding relationship. Both Margaret and Cort must confront a past that haunts them to finally be able to make a new life together. Will Margaret finally come to terms with what happened to her, or will she let her past destroy her future? 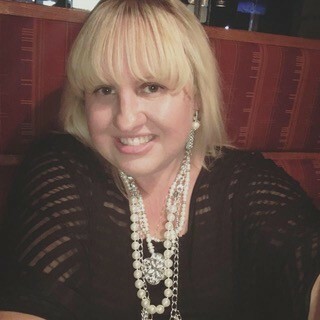 Jenna Brandt is a Christian historical fiction author and her books span from the Victorian to Western eras with elements of romance, suspense and faith. Her first book, The English Proposal released on 5-29-17 and it is the first book in her series, The Window to the Heart Saga. She has been an avid reader since she could hold a book and started writing stories almost as early. She has been published in several newspapers as well as edited for multiple papers. She graduated with her Bachelor of Arts in English from Bethany College and was the Editor-in-Chief of my college newspaper. She’s an on-going contributor for The Mighty Website and her first Blog was published on Yahoo Parenting and The Grief Toolbox as well as featured on the ABC News and Good Morning America websites. Writing is her passion but she also enjoys cooking, watching movies, reading, engaging in social media and spending time with her three young daughters and husband where they live in the Central Valley of California. She is also active in her local church where she volunteers on their first impressions team as well as write features for the church’s creative team. She is offering the prologue and first two chapters of The English Proposal for free on Wattpad. Jeanna, so glad to have you on my blog today.